An average computer knows more about Google, internet rather than RAM, hard drive, memory, ports on the computer. 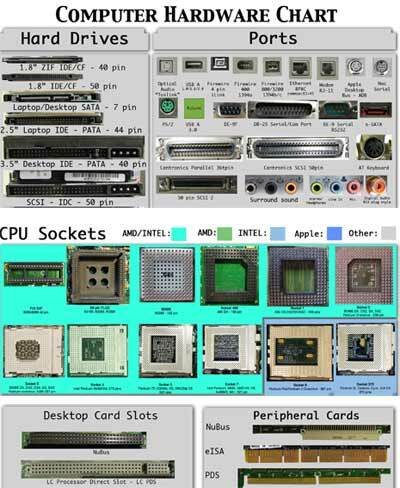 Here is very high resolution poster showing clear images of different hardware components on your computer. Hard drive, ports, RAM, CPU slots, card slots – its all there. Download HQ image [source] from devianART by Sonic840. When on devianART webpage, click on download link on the left to download high resolution version of this poster (24.1MB). You can even order prints of this poster, very useful for educational purpose – what say? its very helpful for my study..
it goes to help very in my studies here in the brazil.